As I said in my review of Bands of Mourning, this novella is a companion to the original Mistborn trilogy, with major spoilers for that trilogy, plus minor spoilers for Bands. The story goes deep into the depths of Sanderson’s Cosmere, basically giving more multi-world-building to those of us who geek out about that sort of thing. On its own, the story wouldn’t make a lot of sense. 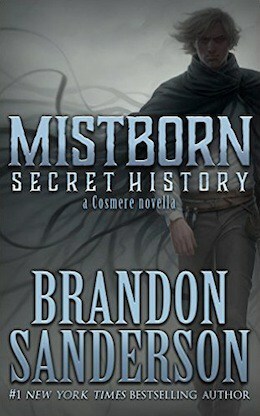 It references many events throughout the Mistborn series, showing a lot of behind-the-scenes moments and plotting. To say more would ruin it, and so I will say nothing more. I’ll keep this as a mini-review, only saying that I’m even more excited to reread Mistborn with all this new information absorbed!! This entry was posted in 2016, Adult, Prose and tagged divinity, mini-review, speculative. Bookmark the permalink.